What made you decide to create Meltdown London? 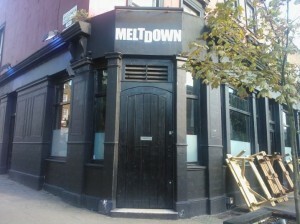 Meltdown is an international chain with branches in Paris and Berlin. The first Meltdown was opened by my colleague Sophia Metz and Yann-Cédric Mainguy in Paris. They started a Barcraft there (a Starcraft meet in a pub location) but had trouble finding a venue that could host it regularly, so decided to make their own! Their venue proved a big success, so naturally they decided to expand. After opening in Berlin they decided to take the venture to London next, and needed someone to take over the operations side. As a long-time friend of there’s, a long-time Londoner and, most importantly, a massive eSports fan, I was a natural fit to take the reigns. What games do you have running here? We also do events for games like Shoot-mania, Counterstrike, Eve Online ; all games with an eSports community we try and cater for at some point. 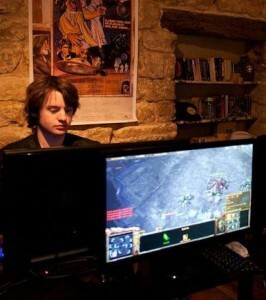 I was always a Starcraft 2 player. I’ve been getting into some of the other games recently just because I’m exposed to them and people who are passionate about them. I’ve been playing a little bit of League of Legends, little bit of DOTA, but I’m definitely best at Starcraft. They are all very tasty too! As we are a 3DS website we like to help 3DS meet organisers find cool venues to host their events. What would be your salespitch to entice these organisers to hold their events at Meltdown? Well I’ll start by saying the 3DS is not exactly our focus ; our primary emphasis is on eSports and games which have a professional scene. However what we provide is a good space, a very friendly atmosphere full of people who love gaming and relaxed rules (Helen : I can vouch for this, everyone seemed to be bringing pizzas in when I attended). 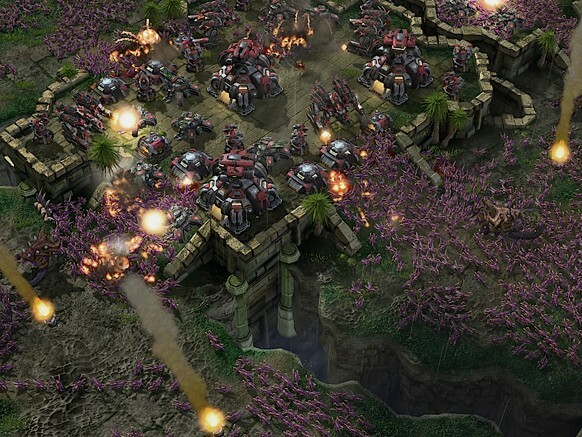 Plus, although the weekly clientele tend to be eSports fans its worth pointing out that eSports fans do tend to love gaming in all its forms (Helen : again, I can vouch for this having been friends with plenty of PC gamers over the years!). We are most welcoming of those considering holding their 3DS events at our venue. 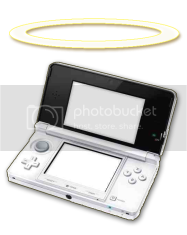 I have a DS! I had Mario & Luigi and Mario 64 (the latter of which I competed, albet without all the stars!). What kind of events have you run so far? Well there’s obviously our weekly events. Aside from that the biggest event we’ve run so far was for the International (the DOTA world championship) which took place in Seattle last month. For that we were open til 6 in the morning the whole weekend. We had hundreds of people pass through over the course of the 2 days. We’re happy to extend our license to make sure that, wherever in the world the major eSports events are we are able to cover them. 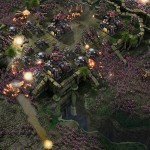 We also did it for Eve Online (for the Alliance Tournament final).